If your Washington drivers license is suspended, the process of getting it reinstated can can be quite confusing. Even though the Washington Department of Licensing (DOL) has had the information available online for quite a while, many with suspended licenses cannot figure out what they need to do to get their license back. It can be especially difficult if you have to figure-out which courts and agencies must be contacted in order to clear-up unresolved items. To make things easier, the Department of Licensing now has available on its website, dol.wa.gov, a fast, simple, and step-by-step web-app that pulls together all that information. The user simply enters some basic information and the online app will provide a list of the specific things that the person must do to get their license reinstated. “We want to make it as quick and easy as possible for them to get their license back,” said DOL spokesperson Brad Benfield. This is much easier than calling or going into a DOL office. All of the necessary information is now just a click away. 24/7 you can now move to the front of the line and it’s free! 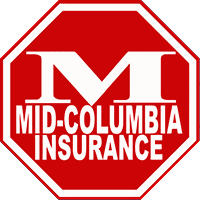 If insurance is one of the things you need to take care of to get your license back, Mid-Columbia Insurance can handle the SR-22 filing process with the state. We file the SR-22 electronically, so the DOL usually will process it overnight, helping you to get your license reinstated that much quicker!